Cost consequences – can drafting improve a cost outcome? With 30 years’ experience working in and managing business, Andrew Smyth is sought after by industry and commerce for his specialist knowledge in structuring, regulatory compliance and business succession planning and SMSFs. Andrew value adds to his clientele with his passion for technology and cybersecurity expertise. Recognised by industry for this expertise in this field, he regularly advises the legal profession and commercial clients on conducting business in the complex cyber world. Andrew is the Managing Partner of the firm, and the partner in charge of the litigation section of the firm. He has practiced extensively in all areas of litigation, particularly commercial disputes, family law, and estate litigation. 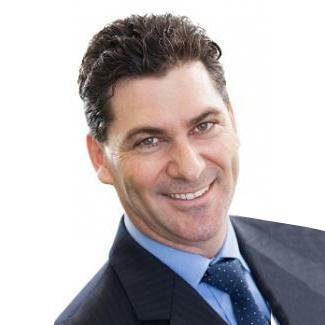 He is an author of the Australian reference text "Estate Planning", published by LexisNexis. Andrew provides specialised assistance to commercial clients, business owners, and entrepreneurs, advising on and documenting arrangements for Asset Protection, Trusts, Estate Planning, Complex Wills, Superannuation and Instalment Warrants. He also advises both clients and members of the legal profession about the legal issues arising at the intersection between the Law and Information Technology. This webinar is suitable for in-House Counsel and lawyers practising in business law – Australia wide. This webinar is for practitioners with some knowledge in this area and looking to improve their knowledge. Live webinar delegates will receive a CPD certificate for attendance at this webinar. Lawyers can claim up to 2 CPD units/points – substantive law. This webinar has been designed to run for 2 hours, however, webinar lengths can vary depending on the level of questions and discussion, and the minimum length of the webinar is 1.5 hours. Attending a TEN webinar couldn’t be easier. Basically it’s just like attending a seminar except that you don’t have to leave the comfort of your office or home. You just need to be available at the appointed date and time with your computer and internet connection. Once you’ve registered for the webinar, we send you a link so that you can login to the webinar from your computer. The speaker delivers the session from their computer in real time. Just like a live seminar, you can ask questions of the speaker. You simply type your question into the question box and the speaker responds to it during question time. At the end of the webinar session we send you a certificate to confirm your attendance and the number of CPD hours you earned. You will need a computer with sound, an internet connection and earphones if you need to participate in the webinar in an open office environment (so you don’t disrupt those around you). © 2019 Television Education Network Pty Ltd. All rights reserved. The program for this webinar is copyright and may not be reproduced in any form without the prior written consent of the copyright owner.